No no no no, we did not say that….we still hero-worship doctors..for us it is the ultimate noble profession. But then according to Dr Sandeep Jauhar, things are very wrong with the medical community in the USA. 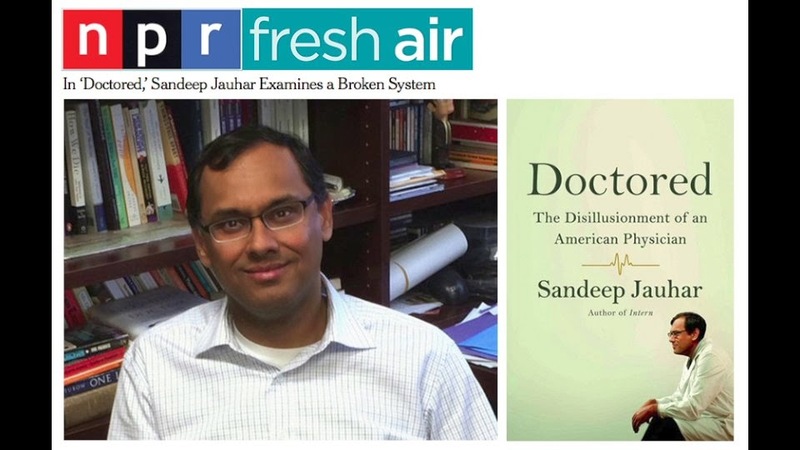 He speaks as a person from within the belly of the beast, and he claims to speak on behalf of the many outstanding doctors from the Indian American community (and the medical profession as a whole). Who knows if there is any substance in his (devastating) allegations…common people will tend to think that no smoke can result without fire. care physicians and five specialists working in four separate practices. that brings laurels – and sure, some lolly. grown up in America and graduated from US medical schools. practiced in the United States, is sick – very, very, sick. physician as the epitome of nobility. cardiologist), nor physician friends and mentors, and not the American system. This is the Ferguson moment in medicine – ugly but true. education, including a PhD in physics). despite being at their careless best. hustled into taking nuclear stress tests and bumped into cardiac procedures. stress tests whether they’re needed or not.